After the deaths of her father and sister, Lou Harrison hopes that moving to Somerville with her mother will be the fresh start they need--but the secrets that hide in the small town threaten to shatter the order of Lou's life all over again. 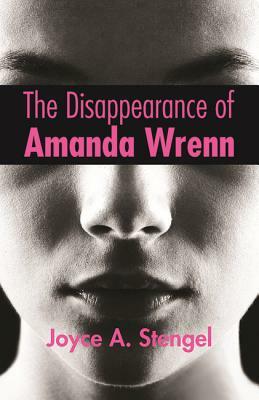 Somerville is still scarred by the unsolved mystery of Amanda Wrenn, a girl who disappeared when she was thirteen and who bears a startling resemblance to Lou's dead sister. Even more concerning are the sinister visions suddenly torturing Lou's mind both day and night, visions that show her tragedies she had no part in. With the discovery of Amanda's secret diary, a path to the startling truth begins to unwind, and each twist and turn along the way is more perilous than the last. Lou wants to do anything she can to help, but will she be able to handle the shocking reality she's about to uncover? All Lou knows is that she's running out of time, and if the puzzle isn't solved soon, she might have to pay with her own life. This new middle-grade thriller proves that some secrets grow stronger--and more dangerous--with time. The past and present come together to create a mystery so thrilling that readers will be holding their breath until the final heart-racing twist. Author Joyce A. Stengel once again demonstrates her remarkable strength at weaving unforgettable mysteries and sets herself apart as one of the leading voices of the genre.